British Cycling have confirmed that the TISSOT UCI Track Cycling World Cup series will be returning to Britain in 2019. Glasgow’s Sir Chris Hoy Velodrome will host the second round of the series from 8 – 10 November, with the event representing a crucial chance for nations to register qualifying points ahead of Tokyo 2020. TISSOT UCI Track Cycling World Cup will bring together the best international riders as they begin to fine-tune their Olympic preparations over the three days of competition. 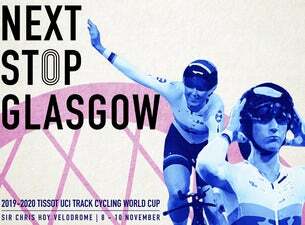 Glasgow last hosted a TISSOT UCI Track Cycling World Cup in November 2016. The Glasgow round will be the fourth UCI TISSOT Track Cycling World Cup in four years on British soil, with the 2018/19 series having just been held in London last December. Be sure to secure your seat for some unforgettable cycling action on home soil.